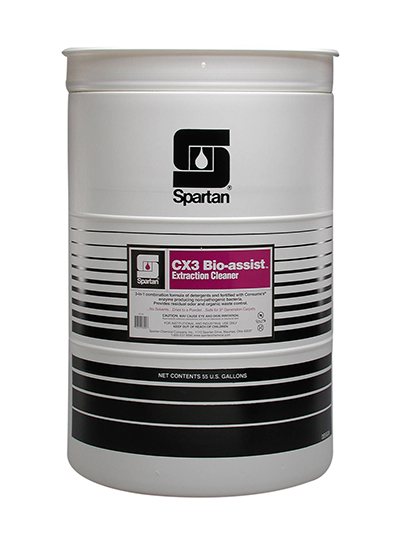 A heavy-duty soil extraction carpet cleaner with Consume's digestive power, CX3 has organic digesters stay behind for residual odor control and waste removal. It is low foaming, non-corrosive, phosphate free, biodegradable and non-flammable. Ideal for nursing homes, day cares, schools, restaurants, casinos, food handling areas, pet facilities, or anywhere carpet odor problems may be a nuisance.